That pin collection won't redeem itself! Today, June 30, is the last day to earn Platinum or Gold status on Club Nintendo in North America. By request, this week we're playing Balloon Battle. Join the Nintendo World Report community for Mario Kart 7's Balloon Battle this Monday, July 2. We're kicking it off at 9 p.m. Eastern/6 Pacific (1 a.m. UTC for anyone overseas). You can exchange friend codes in the Talkback below, or go stock up in the official NWR 3DS Friend Code thread, which is located in the Handheld Discussion section of our forums. You can also add the NWR Balloon Battle Community Code, which is 52-8882-2728-4207. 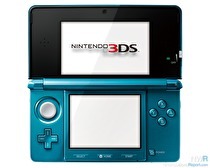 October is shaping up to be a big month for the 3DS in Japan. 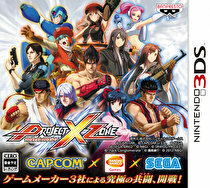 Project X Zone, the Nintendo 3DS crossover strategy RPG featuring characters from Sega, Capcom, and Namco Bandai, is going to be released in Japan on October 11 for 6,280 yen, Famitsu revealed. The retro-inspired game from UFO Interactive is coming very soon. Johnny Kung Fu, the third eShop game from UFO Interactive, is coming to North America on July 12, according to Nintendo's website. 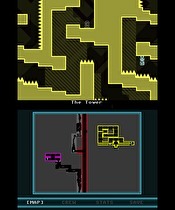 As of 9 a.m. PT today and until 9 p.m. PT July 1, VVVVVV is only $5 on the eShop. In case you didn't know, VVVVVV is available on the North American eShop for a $3 discount, bringing it's normal $8 price down to $5. The sale began at 9 a.m. PT/12 p.m. ET today, and will run until 9 p.m. PT/12 a.m. ET on July 1/2. This game is the second "Game of the Weekend" sale that Nintendo of America is doing for the 3DS eShop. The inaugural game was Super Mario Land. Recent EA comments suggest the Wii U Madden game will abandon the "All-Play" stylings of the Wii versions for a more realistic simulation. Electronic Arts will be ready to talk more about their Wii U sports games in just a couple of weeks, according to representatives from the publisher and recent event invites. Miiverse will be free to use, plus other information from Nintendo's shareholder's meeting. During Nintendo's annual shareholder's meeting Satoru Iwata revealed that the company currently has no plans for additional 3DS models in the near future. Iwata also explained how third party support will be improved, and why Miiverse will be free to use. 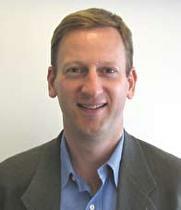 The official title is "Senior VP of Network Business". Nintendo has created and filled a new position titled Senior Vice President of Network Business. 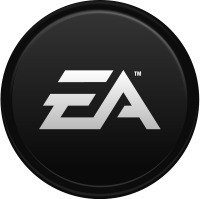 The man hired for the job is Duncan Orrell-Jones, a former Senior Vice President for Disney Interactive in Tokyo. Retro appears to be fully staffed at the moment. It's time to get even more Zen. This week for the Nintendo downloadable platform brings us two new DSiWare games, two new eShop games, one new 3DS demo, and a sale on a 3DS favorite. n-Space's 3DS RPG will get a playable demo in another region next week. 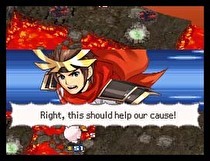 A demo for Heroes of Ruin will launch on the North American eShop on July 5, according to n-Space's Dan O'Leary. The demo came out in Europe on June 7. Heroes of Ruin is also already out in Europe, coming out a week and a half ago. It doesn't come out in North America until July 17. Also, Pokémon Dream Radar will hit the eShop the same day. Pokédex Pro 3D is set for a fall release. Days after the Japanese release of Pokémon Black and White 2, Nintendo confirmed that the game will hit North America and Europe on October 7 and 12 respectively. Additionally, Pokémon Dream Radar will hit the 3DS eShop the same day in each region. A new demo of the game is also available in Japan. Bravely Default: Flying Fairy will release across Japan on October 11, according to the game's publisher, Square Enix. With the game now about four months away from release, the Japanese eShop has received its third downloadable demo. 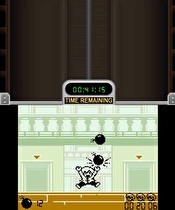 This demo features some of the game's battle system. Medal of Honor: Warfighter may be headed to 3DS, as reported by a recently removed Game Informer listing. The website originally listed the title for 3DS, despite the publisher only fully confirming releases on PS3, PC, and Xbox 360. The listing, however, has since been removed. Game Informer also incorrectly listed the upcoming Tomb Raider title for Wii U, so the validity is in question. Lefties rejoice! The new Circle Pad Pro is coming this year. To accompany Nintendo's newly designed handheld, a new version of the Circle Pad Pro will be released later this year. The original device added, on top of some extra weight and mass to the 3DS, a second circle pad for games that required a little extra aiming precision. It also granted left-handed gamers the ability to play Kid Icarus Uprising without conforming to the awkward right-handed control scheme. The stellar DSiWare game is getting 3D sequel that is set in space. Go! Go! Kokopolo 3D - Space Recipe for Disaster is just starting development for the 3DS eShop from Tanukii Studios and CIRCLE Entertainment, Nintendo Life reports. Europe will be able to conquer the kingdoms of Ransei on July 27. 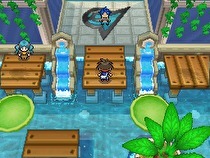 Pokémon Conquest is coming to Europe on July 27, 2012. Nintendo cooks up some fun to beat the winter chills. Over the following weeks, gamers in Melbourne will have plenty to do at the Nintendo Experience store on Swanston Street. Far Cry 3 is pushed back to a late November/early December release. The Wii U is also coming out in that same window. Far Cry 3, a first-person shooter from Ubisoft, is being delayed from its early September release to December 4 in North America and November 29 in Europe. The game, which was thought to be a possible Wii U title, might be getting the delay to support a Wii U version, especially since the Wii U is slated to come out around the same time as the new release date.